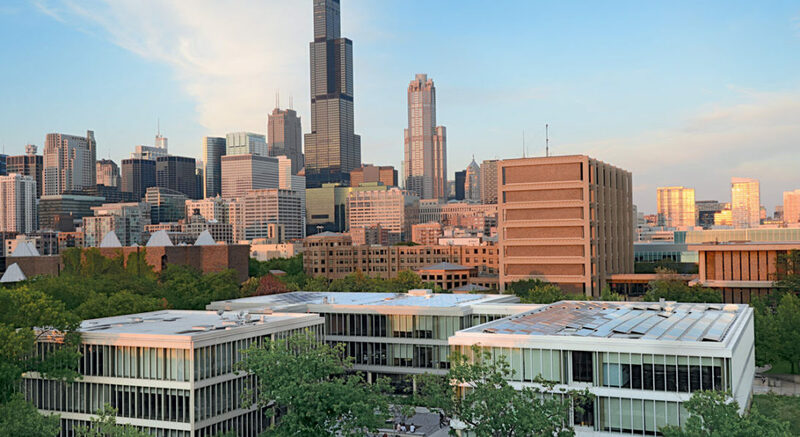 As Chicago’s only public research university, real-world problems are solved through innovation and discovery. Research at the University of Illinois at Chicago is helping to make sense of today’s vast amounts of computer-generated data; and driving economic development by moving research to practical application. Teaching and research are a potent blend—one informs the other. Researchers bring a deep understanding and a sense of the wonder of discovery to the classroom. UIC students have research opportunities that help them gain real-world experience in the classroom as they work side-by-side with federal grant-funded investigators. Students and faculty alike have the opportunity to work in an interdisciplinary research environment across UIC’s 15 colleges and schools. Faculty use their research to bolster student learning or effect changes in partner organizations and businesses. The Institute for Leadership Excellence and Development (iLEAD) discovers practical methods for improving leadership. CCIT was established with a grant from the college to develop a new program of research to examine how the use of social computing tools affect work practices and outcomes in the United States. In the two years of the proposed study, the interdisciplinary team will develop and administer a longitudinal survey of U.S. workers that enables the research to document the evolution of technological and social change occurring in work practices; provides the opportunity for UIC researchers to develop new theoretical approaches to understanding the role that social computing technologies are playing in the U.S. work context; places UIC Business at the forefront of research on emerging and important area of social computing, work and enterprise management; creates a foundation upon which external funding will be attractive and ensure the sustainability of the research program. Center for Health Information and Management Systems headed by Professor Ranganathan C, is a trans-disciplinary research organization that is based at the college. CHIMS brings together research expertise from multiple UIC departments and colleges (e.g. health care sciences, business administration, information management, and computer science) to conduct research that expands the knowledge frontiers in health care information management, and also improves the practice of HIM, especially in the State of Illinois. Center for Education & Research in Financial Reporting Quality: The objective of the center is to further research and creative teaching methods in the area of corporate financial reporting quality. CERFRQ will develop a series of programs of sponsored research and conferences on the theory, practice, and analysis of corporate financial reporting quality. Its guiding criteria will be to strengthen the bridges between accounting research, accounting education, and accounting practice. In doing so it hopes to serve the public interest by supporting the integrity of financial reporting and the efficiency of capital markets. Its main emphasis will be on the use of both existing sources of data as well as the development of new sources of electronic data to support accounting research and teaching in the department. Explore our seminars and workshops from industry leaders. Recent speakers have included Anastasia Zakolyukina, Paul Schultz, and Oleg Urminsky. Each week, accounting faculty from across the nation bring their latest research to faculty, staff and students. Each month, the department of finance hosts researchers from across the country. The marketing faculty in the department of managerial studies hosts weekly guest speakers on timely marketing topics.